British Columbia is a busy province with a high level of heavy truck traffic hauling goods and commodities. When a truck accident occurs, there are usually serious consequences regarding injuries and environmental impacts. Heavy duty truck traffic in BC usually contains cargo which can range from livestock, flammable goods such as propane, sand and gravel and other materials that can spill onto oncoming traffic. When a truck crashes, it is usually detrimental as the vehicle is large and heavy. 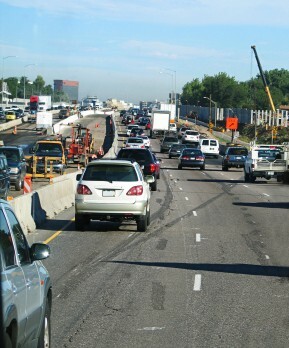 Clean-up can last for hours, causing gridlock in the city and on the highways. Cargo spills and crashes can also spark fires and create hazardous waste in surrounding areas causing more property damage and personal injuries. When a truck accident has caused catastrophic injuries, you need a lawyer on your team to ensure proper diagnosis and treatment for injuries as well as a legal advocate. ICBC represents all insured motorists in BC, so they play a dual role, which may not be to your advantage. Additionally, if a driver of a heavy-duty truck causes an accident during a work-shift, the claim is more difficult due to Worksafe BC regulations. This type of plaintiff claim can be very complicated and a skilled personal injury lawyer will be able to evaluate and distinguish the best legal course of action to maximize financial compensation. To help resolve your ICBC Truck Accident claim, call our offices for the best personal injury and ICBC representation in Vancouver, Surrey, Richmond, Fort St. John and Kelowna. Call 604 602 9000 or submit your inquiry.